We are BACK from Hawaii and ready to get back into the swing of things! I was also SO excited to return to these delicious little bites which were waiting for me in the freezer - so I couldn't wait to share them with you! I was a weird kid. I hated cake, thought frosting was gross, ate tomatoes whole like apples and thought pizza was awful – but do you know what I did like? Licorice. Licorice is one of those things that people either love or hate – and I am definitely on the love side of town. I would buy packets of jelly beans that only had the black licorice jelly beans – whilst everyone else was picking out the black ones and throwing them away. But do you know one thing I never knew about licorice until I was diagnosed with coeliac disease? Licorice is made with wheat flour. Along with croissants and fresh bakery sourdough, licorice was also no more in my world – and so I had to get creative. 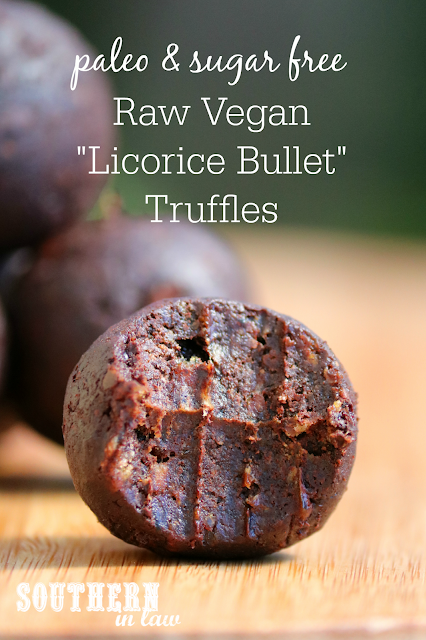 Gluten free licorice never had enough flavour and never satisfied – so I first came up with this Healthy Homemade Raw Licorice Recipe. But whilst that Raw Licorice Recipe is delicious – it’s a little bit fiddly and annoying, and recently I worked out I could make a licorice inspired treat that was even easier to make. Enter these Licorice Bullet Bites. 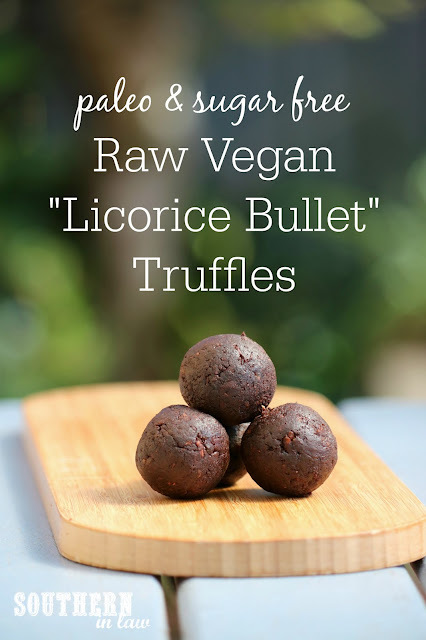 Inspired by a chocolate covered licorice bullet, they have chocolate and licorice flavours but are made without any gluten, grains or refined sugar. 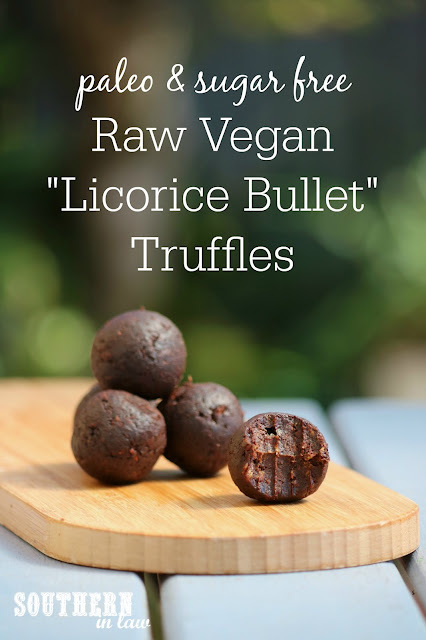 They’re paleo friendly, easy to make and seriously delicious – well, if you’re a licorice fan at least. In a food processor, process your dates until chopped and the dates start to clump together. Add your cocoa powder, aniseed extract and salt, processing until combined. These truffles will keep for a few weeks in the fridge and can also be frozen to last even longer. Tell me, what's one food you hated as a kid that you love now? And are you a licorice fan?